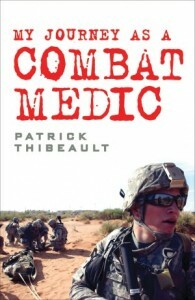 A memoir of Patrick Thibeault’s career as a combat medic. As a reader we see not only the duties of the combat medic, but get to experience through his words the entire process from first joining, to paratrooper training, to his medic training. What unfolds is an interesting life devoted to being the first line medical care for our wounded troops. Many people think of MASH and in a lot of ways it did seem to be similar, but unknown to me, there was much more training. He had to earn multiple combat badges, multiple medical badges, it seemed like he was constantly training. He also goes a lot into a problem that is often overlooked among all the troops, that of Post Traumatic Stress Disorder. Suffering from it himself he is able to give a lot of advice on dealing with it. He also provides priceless advice for anyone who would want to follow in his same career as to how they can get involved as a Medic. Overall a very interesting memoir of a little talked about combat role. We often hear about the Seals, Snipers, etc. but this was the first opportunity to hear about the Medic. I found it to be an enjoyable and well written story. If you get the chance, pick it up and see what you think. Be sure and drop back by and let us know what you thought. Patrick Thibeault was born in Kittery, Maine. His father was in the U.S. Army so he moved around the world as a kid. Glenn is an artist, still living in New York with his wife, a bulldog, a pug and a cat. Patrick lived in Germany, the USA and graduated from high school in Korea. 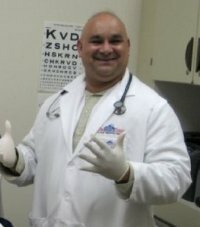 Patrick served in Desert Storm and in Afghansitan as a combat medic. He was once a member of the 160th Special Operations Aviation Regiment. 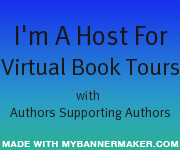 Patrick was inspired to write the book: My Journey as a Combat Medic: From Desert Storm to Operation Enduring Freedom because of his experiences. Jack Nadel is the founder of Jack Nadel Enterprises. 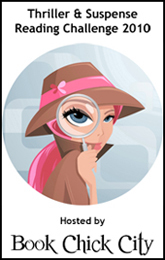 His company is involved in sales promotion. In his book, Use What You Have to Get What You Want, he offers 100 tips to would be sales people in order to help them be more successful. If you can’t explain your product or service in 30 seconds, you probably can’t sell it. Perceived Value is What Sells, Real Value is What Repeats. A good deal is only good if it is good for everybody. Mr. Nadel follows each tip with real world examples from his own experience both in the U.S. and abroad. The book was a very fast book to read. It was only 110 pages in length, and I finished reading it in one sitting. 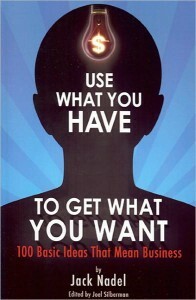 I think it would be a good source for beginning salesmen, or salesmen who wish to give their sales a boost. *Disclaimer* A special thanks goes out to G at Planned TV Arts for a review copy of this book. It in no way influenced my review. You can discuss it here or join my facebook page and discuss it there. Tom Wagner – On a mission to find out the purpose of a coin. Allen Baker – Unemployed man seeking Elijah. Faith and Ricky Elston – A mother and son down on their luck. Vic Lasters – A man told to find Tom to handle his problems. Keith Elston – Faith’s abusive husband. William Leary – Works for a homeless shelter. A young man with serious problems runs into a security guard while robbing a store. The security guard takes his license and makes him come back for 3 nights. On the 3rd night, the guard is gone. Tom is left only with a coin engraved with EK on one side and GTG on the other, and no clue what they mean. 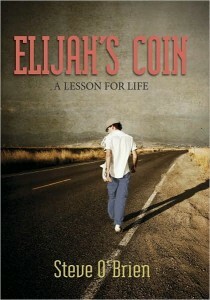 He sets out to find out what this coin is for, and finds his purpose in life along the way. This book is a quick book to read. Probably 2-3 hours. The man’s journey is portrayed in a realistic manner, and you seem him evolve as a person. In the beginning, he’s an angry man. With good reason. His mother was murdered, and the killer was never caught. But in the end he learns lessons that he carries through in his life, and these lessons are all based off the coin. I found the characters to be developed okay. Tom’s character, and that of Faith and Allen were the most developed. The others you didn’t get to see a lot of their characters, but in the brief time, you knew what they were like as people. There were some interesting swtiches in the end, and overall it proved to be a very good story. I’d definitely recommend it for church youth groups, etc. There may have been a little strong language, but I don’t recall, but the message is definitely something that all people can follow regardless of their religious preferences. 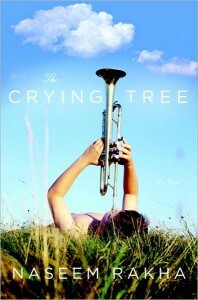 *Disclaimer* A special thanks goes out to Rebecca at The Cadence Group for a review copy of this book. It in no way influenced my review. Oogy didn’t have an easy time coming into life. At about two months old, he was used as a bait dog. A bait dog is used to train other dogs for fighting. Oogy had the left side of his face destroyed, his jaw broken, and his left ear ripped off. It seems he was pretty much left to die when the police found him. A veterinarian and his assistant did all they could to keep Oogy alive. Then one day the Levin’s came into his life. Larry Levin and his two sons Noah and Dan were under the sad duty of taking their cat Mr. Buzzy to be put to sleep. It was there at the Vet that they met Oogy, and decided he needed to come home with them. I could relate so much to this story, the abusive past, the family learning to overlook the physical damage and just love. And that is what Oogy’s family provided him, and what he’s provided his family. This story was beautifully written. 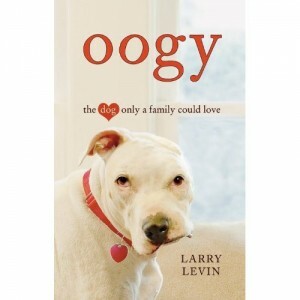 There were times I was deeply moved by Mr. Levin’s tale about Oogy. It was disturbing at times to read about the treatment the poor dog suffered. At one point I had to stop reading and put it aside because I was just too disturbed by the imagery. Although it always bothers me to hear these stories, I’m also never surprised. The Human being is capable of such inhumane acts against anyone perceived as weak. If you get a chance to pick up this book, I think you’d fall in love with the story of Oogy as I did. Sometimes the most beautiful things don’t come in the most beautiful packages. Support stronger laws. Visit the ASPCA Advocacy Center to keep up to date on dog fighting legislation in your state. Alert the media! Your local newspaper and television station are always looking for stories, especially investigative ones—be sure to contact them about the cruelty and dangers of dog fighting. Call or write your local law enforcement department and let them know that investigating dog fighting cruelty should be a priority. Dog fighting is a CRIME—and the police MUST investigate these cases. Keep your eyes and ears open. If you suspect dog fighting in your own neighborhood, contact the police or your local animal control officer. Provide as much information as you can, such as the date and time you noticed something wrong, the address or location, and what led you to believe there was dog fighting taking place. Protect your pets. Dog fighters sometimes steal companion animals to use as bait dogs. Don’t let your animals outside without supervision, and make sure they have proper identification tags and are microchipped. Adopt a Pit Bull and let your perfect pooch be an ambassador for the breed! Be sure to read our Pit Bull adoption tips before you start your search. Set a good example for others. If you are already the proud parent of a Pit Bull, be sure to always show them the love and good care that they deserve. And always let others know what great companions they make! Volunteer! If your local shelter is facing a Pit Bull dilemma, volunteer to help keep adoptable Pit Bulls and Pit mixes mentally and physically fit by exercising them or taking them to obedience classes. You can also lead a chew-toy drive at work to collect rawhides or hard rubber playthings to keep them busy, or help create a fundraiser to support a free sterilization program for Pit Bulls in your local shelter. Educate others in your community about the horrors of dog fighting and start a neighborhood watch program. Teach your children. Do your kids have questions about dog fighting? Visit our children’s website, ASPCA Animaland, for information about dog fighting that’s written especially for kids. *Disclaimer* A special thanks goes out to Anna at Hachette Book Group for a review copy of this book. It in no way influenced my review. Irene Stanley – A mother torn over the loss of her son. Nate Stanley – A father, policeman, and a man facing his own pain. Bliss Stanley – Sister to Shep Stanley. Shep Stanley – A 15 year old boy, loves music and exploring. Daniel Robbins – A 19 year old mechanic sentenced to death for killing shep. How would you react to the man who killed your 15 year old child? Would you be able to find forgiveness in your heart? That is just part of what Irene Stanley struggles with in Naseem Rakha’s The Crying Tree. Fifteen year old Shep Stanley is shot during a routine robbery. The shooter, 19 year old Daniel Robbins is arrested and sentenced to die. This book follows the events and the struggles of each of the family members in trying to deal with the untimely death of a loved one. This book was beautifully written. I could relate to the characters. They were very conservative in their beliefs and values. This seemed to be captured in a very accurate manner. Irene Stanley struggles though with forgiveness. You can feel her internal struggles with her faith, with her sense of right/wrong and what the reaction of her family/community would be to her feelings. Nate Stanley is a man with a lot of regret. You can feel this regret eat at him. Eventually he’s driven into his own world and Irene in her’s. That leaves Bliss out there to more or less fend for herself and stuck in a position of having to take care of her parents. The character of Daniel Robbins is written in such a way that you have some sympathy for him as well. He’s not a maniacal murderer like you’d expect of someone on death row. I’d really recommend this book, it draws you into the situations and the characters, and you find yourself not wanting to put it down. There are many moments that make you think What would I do in this situation? And perhaps that’s the purpose, make you question your own view on things. There is strong language, and situations, so I’d say keep this to older Teens/Adults. If you want to read a moving story though, definitely pick it up. *Disclaimer* A special thanks goes out to Sarah at Terra Communications for a review copy of this book. It in no way influenced my review. Melissa Halford Bailey – Owns a florist and works there part time. Sarah Bailey – 7 Years Old with Leukemia. Terry Bailey – Simon’s Father. Barbara Bailey – Simon’s Mother. Robert Halford – Melissa’s Father. Diana Halford – Melissa’s Mother. Rev. Duncan Hughes – Local Minister who Simon goes to for counseling. Muriel Hughes – Reverend Hughes Wife. What would you do if your child were dying. Would you let the child know? When you discussed it what would you do if the child asked you to go with her? These are some of the questions face by Simon. Finding the answers takes him on his own spiritual journey. 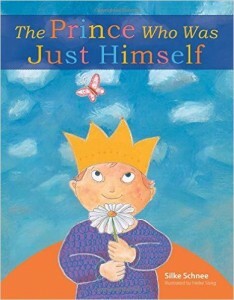 This was a very touching book. The characters could be almost anyone in any family. Parents all over the world every day face the possibility of their child dying. How do they handle it? The characters were realistically depicted. Each person had their own way of dealing with their grief. Like in real life, this grief can sometimes be a wedge between people. The question of whether to tell Sarah hangs over the head of Robert and Melissa. In one of the most touching scenes of the book there is a conversation about dying between Robert and Sarah. This conversation sets up the plot for the rest of the book, and I genuninely felt Roberts fears and indecision in what to say/not to say. Through the repercussions coming out of this Simon manages to cling to his faith. Sometimes that’s all that keeps a person from totally shattering. The author being British used some terms that might be hard to understand at first for those of us in the U.S. However, after a while, I was in the flow of the story, and didn’t notice. This book is a quick read. There are a few areas where the language and content might not be suitable for all ags, so I’d give it a PG-13 and say that anyone out there who likes a tear jerker would probably enjoy this book. This is a collection, of mostly Budddhist writings regarding compassion. Ms. Bloom compiles stories from many different spiritual leaders and how they exhibited the nature of compassion. One example was of a man who had no blank to sleep outside, someone gave him a blanket, but while he was sleeping someone took it. His reaction was happiness for the person who needed the blanket. Another story is that of Yeshe Tsogyal. This story say’s that Yeshe was traveling along one day and came across some men carrying a man on a stretcher. When she inquired they told her the man had been punished by having his kneecaps removed. They were told that only the kneecaps of a woman could help him. She volunteered to give up her kneecaps in order to help this man. I found the stories to be very inspiring, and touching. They cover things from how animals can be affected by compassion, to how it can change people. I think for anyone whose trying to lead a more open, compassionate life would find a great deal to like about this book. *Disclaimer* A special thanks goes out to Bonni at Red Wheel Weiser for a review copy of this book. Tattoos on the Heart – Father Gregory Boyle, S.J. Recently a minister friend of mine posted this quote from Leonard Cohen: “There’s a crack in everything; it’s how the light gets in.” He then proceeded to open a discussion by asking people to “share a crack / fault / wound of your own life, but also try to catch a glimspe of the gold that sparkles from with it…” When I read Tatoos of the Heart I had that conversation in mind, and briefly that describes the whole topic of this book. It’s about the wounded. Some wounded very deeply, and how they manage through love and compassion, to let the light shine. This book is about Father Gregory Boyle, S. J. (Society of Jesus), a Jesuit Priest in Los Angeles. 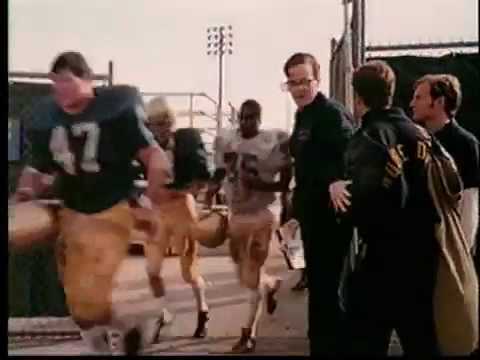 Father Boyle started a program for gang members in his neighborhood. The program covers things from job training, to tattoo removal, education, mental health and general counseling. Throughout the book, Father Boyle presents the good and the bad. Some of the tales you find yourself laughing along with him, while others you feel the depth of his pain. It’s not just about him though, it is about the gang members, how they try to change, and sometimes despite the changes, their past catches up to them. It’s also about the compassion. The love of Christ to accept everyone, and to drop the walls that allow us to exclude this person or that person because they don’t fit our ideas of what Christlike behavior is. I absolutely loved this story, and love what Father Boyle is accomplishing in these lives. There is some stronger language, some strong events, due to the content of these stories. I think young readers might have trouble, but anyone over 14 or 15 should have no issues with it, and parents shouldn’t be wary of letting their teenagers read it, or reading it themselves. I’d recommend that you do read it. It definitely gives you a different impression of the “gang life” then you get from the nightly news, or from the movies. These are the stories of real boys and young men, some who had their lives snuffed out before they had a chance to live them, but even in those cases, those who knew Father Boyle found love even if briefly. Fr. Gregory Boyle – best known as Fr. Greg by all who meet him — was born in Los Angeles, one of eight children. His father, a third-generation Irish-American, worked in the family-owned dairy in Los Angeles County and his mother worked to keep track of her large family. As a youth, Fr. Greg and several of his siblings worked side by side with their father in the dairy. After graduating from Loyola High School in Los Angeles in 1972, he decided to become a Jesuit and was ordained a priest in 1984. Prior to 1986 Fr. Boyle taught at Loyola High School and worked with Christian Base Communities in Cochabamba, Bolivia. He was appointed as Pastor of Dolores Mission in the Boyle Heights neighborhood of Los Angeles in 1986 where he served through 1992. He then served as Chaplain of the Islas Marias Penal Colony in Mexico and Folsom Prison, before returning to Los Angeles and Dolores Mission. In 1992, as a response to the civil unrest in Los Angeles, Fr. Greg launched the first business (under the organizational banner of JFF and Proyecto Pastoral, separated from Dolores Mission Church): Homeboy Bakery with a mission to create an environment that provided training, work experience, and above all, the opportunity for rival gang members to work side by side. The success of the Bakery created the groundwork for additional businesses, thus prompting JFF to become an independent non-profit organization, Homeboy Industries, in 2001. Today Homeboy Industries’ nonprofit economic development enterprises include Homeboy Bakery, Homeboy Silkscreen, Homeboy Maintenance, Homeboy/HomegirlMerchandise, and HomegirlCafé. This year, 2008, marks the 20th Anniversary of the work Father Greg began. Homeboy Industries, now located in downtown Los Angeles, is recognized as the largest gang intervention program in the county, and has become a national model. See the Homeboy Industries site here. 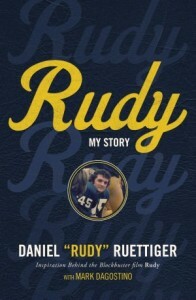 All the author’s net proceeds from this book will aid Homeboy Industries, and at the site you can also make donations. *Disclaimer* A special thanks goes out to Nilki at Condor Book Tours for a review copy of this book.